All in one. Run on any operating system. No installation needed. EHR, Practice Management, Billing Solution, Patient Portal and Self Check-In Kiosk. User friendly, and very easy to use. Now you can focus more on patient care. Specialty Specific EHR. No hidden fees or surprises. Built from the ground up with physician input. In order to use our software, all your practice needs is an internet connection and a web browser. That’s right, no software to download and no third party software. You can even run the program on the operating system of your choice, whether that be Windows ,Mac, iPad, or even Linux. With the technology that AllegianceMD incorporates into its system, the computer operating system is taken out of the picture, and with over 21 years designing web-based application, no-one can match our expertise when it comes to web-based solutions. Click here to show history in images, and evolution of our product line. This technology has even prompted Macworld magazine to write an article about our technology. Save time and effort with deep learning algorithms. Veracity’s lab interface allows you to customize your lab ordering process, saving you precious time. Orders are sent with ease, and results come back quickly for follow-up. Available on Android and iOS. Fully functional mobile app that allows you to view your schedule, prescribe and refill Rx. View lab results/imaging results, chart notes, phone encounters, messages, patient summary sheets, and more. Improve medication safety and patient outcomes. 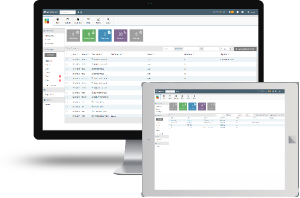 Ensure clinically consistent, accurate information across your workflow. Create virtual appointments that allow you to see patients quickly and efficiently, without life getting in the way. Life made easier for you, and those who are unable to come to your practice. Meet state and federal regulatory requirements with ease. Reporting with your active immunization registry can be done with a few simple clicks. 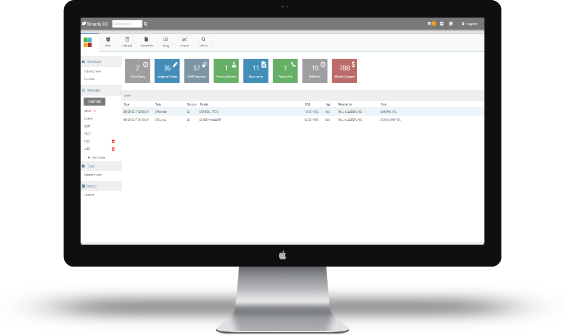 Fully customizable electronic health record templates allow you to efficiently chart while maintaining detailed documentations of your patients’ visits. Veracity remembers preference of treatment and episodes of care, making charting faster and more efficient than paper. 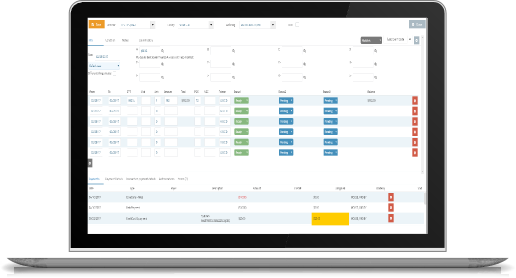 With this automation, your practice will realize efficient treatment episodes with better outcomes. Increase revenue. Save time. Scrub claims. A collection module that allows you to automate collections letters, exporting data to collection agency, locking patients in collection. Perform charge capture from the schedule, or the EHR. Visits. charges memory. Utilize our meaningful analytics tools and expansive reports, to provide you the insight you desire regarding financial performance and productivity. Electronic remittance advice. Color coded EOBs. Automatic creation of electronic secondary claims, if not forwarded by the primary. Get a toll-free number, local number or keep your current number. Get unlimited incoming and outgoing faxes at no extra charge. AllegianceMD integrated clearinghouse that will allow you to have full control over your claims flow. Eliminate the extra fee that you are currently paying for a third party Clearing House and get better service. Easily mark claims for follow-up and assign other users tasks regarding this claim. Scan and upload unlimited documents at no extra charge. Empower patients with the knowledge, skills, confidence, and willingness to make the best decisions about their health. The ability exists for patients to update their demographics, medical history, allergies and medications. Additionally, patients can request refills, receive test results, patient education, electronically sign documents and even book appointments, if you choose. All info entered by patients, maps across to the EMR. Streamline your check-in process. Patients can pre-check in, update their demographics, insurance, medical history, medications and allergies. All info entered by patients, maps across to the EMR. Increase patient engagement by setting up messaging categories such as, Medications, Billing, Medical Questions, which allows for secure messaging back and forth between the patient and your practice. 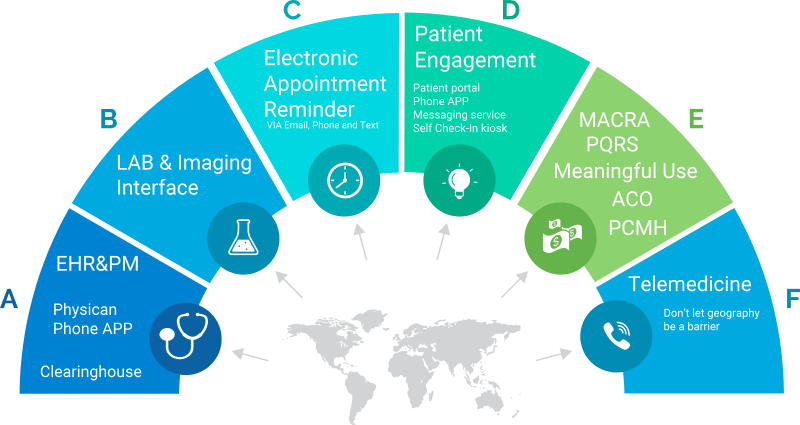 Improve ongoing care for your patients, by automatically delivering reminders before their appointment. Options, which include phone calls or text messages (English or Spanish) can be sent, based on patient preference, to ensure your patients are properly notified. If desired, can provide patients the ability to schedule appointments online, based on your chosen parameters, making it an easy and enjoyable experience for your patients. Medical providers now have to participate in either the Merit Based Incentive Payment System (MIPS), or eligible Alternative Payment Models (APMs). Either way, we’re READY! Check measure status during or after a patient’s visit, or check statuses on the practice as a whole! Chronic Care Management (CCM) is defined as the non-face-to-face services provided to Medicare beneficiaries who have multiple (two or more), significant chronic conditions. Enroll patients and build care plan. 2017 AllegianceMD Software, Inc. All rights reserved.